Talking about Guestbooks in 2018 is like talking about en era. We all remember the 90’s when internet was growing in the world. People were getting attracted towards internet and Guestbooks were one of the platforms for people to share, talk and interact with others. But it was spammed badly but few “spammers” who believe in short cuts. Most of the guest books are spammed by people by sharing multiple or spam links. 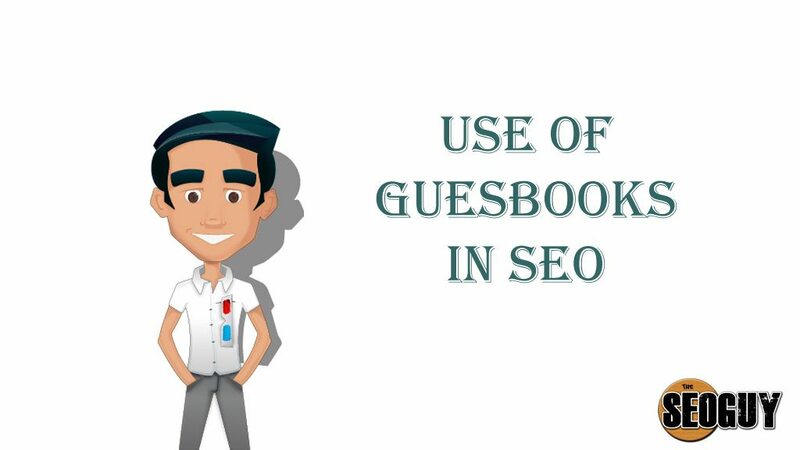 If you are willing to have a guestbook on your web then first you have to learn about GDPR and adjust your website policy on data collection. After making the changes you can include one. Tip: Create a custom guest book and disallow link sharing to avoid spam on your web. You will get some guestbooks to sign. You can practice and then integrate one in your website. It was one of the best option in 90’s to get better SEO results but since 1990 the algorithm of search engines is changed completely. So It is just a technique with is not must to have. It doesn’t create any effect on your SEO score or SEO strategy in 2018. But if you wanted to use it wisely for collecting data and feedback then you can still use it. Keep exploring TheSEOGuy for more fresh content and information. Do not forget to share your experience with the information. Comment below if you liked the information. Use our contact email to share your suggestions for the blog. If you are know something which you would like to share then write to use to contribute.